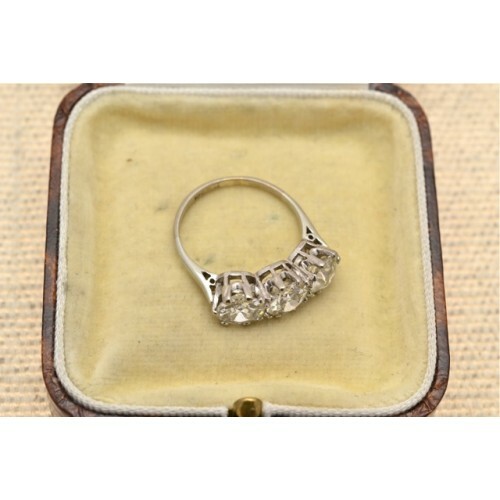 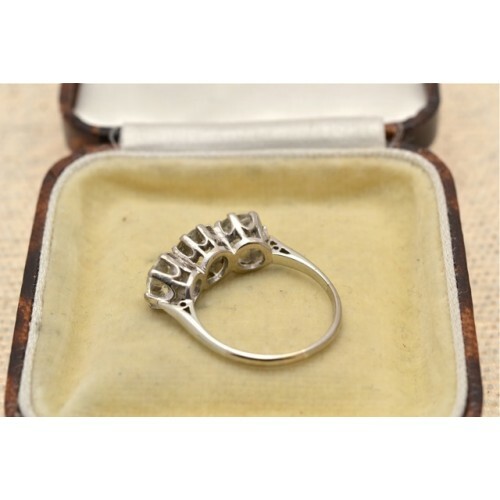 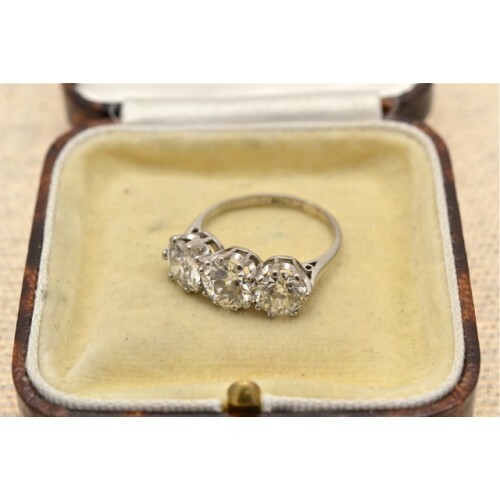 Antique three stone diamond ring. 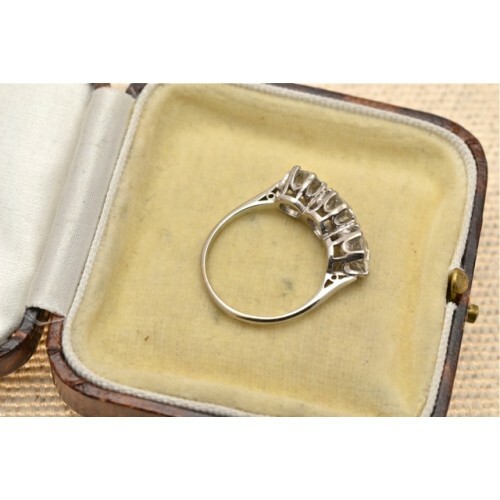 Antique 18ct white gold three stone diamond ring having round old cut stones, weighing 3.05 carats, I Colour, SI1 Clarity, claw set in a crown setting, plain shank. 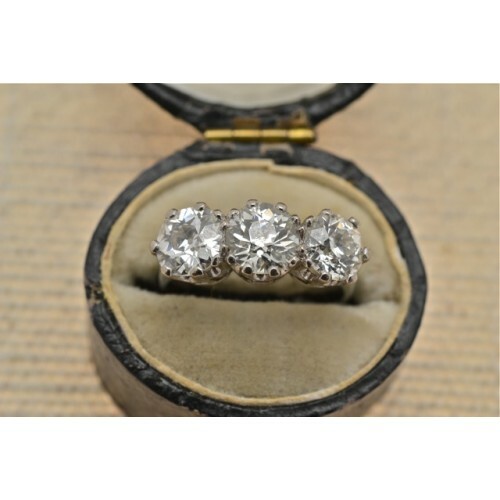 The diamonds are circa 1905 and the mount 1930's.